SAF Professional Cleaning Services Ltd.
We do undertake regular domestic and one off domestic cleans i .e end of tenancy, post builder's cleaning and one off spring cleans. 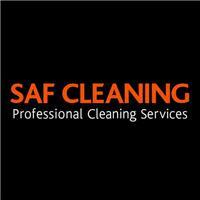 We clean houses, offices, schools, communal areas and retail outlets. We operate across London and the Home Counties. Please visit our website for a full list of our services. London, Surrey and surrounding home counties.